Port-au-Prince (AFP) - Campaigning for the second round of Haiti's presidential election opened Friday, with the opposition candidate refusing to participate without sweeping reforms to the process. Haiti, the poorest nation in the Americas, has endured years of political crisis aggravated by its attempt to recover from the massive January 2010 earthquake that claimed some 200,000 lives. Candidate Jude Celestin "will not launch his campaign and will not participate in the January 24 voting" until recommendations that an independent electoral commission presented earlier are fully implemented, his campaign spokesman Augustin Jinaud told AFP. 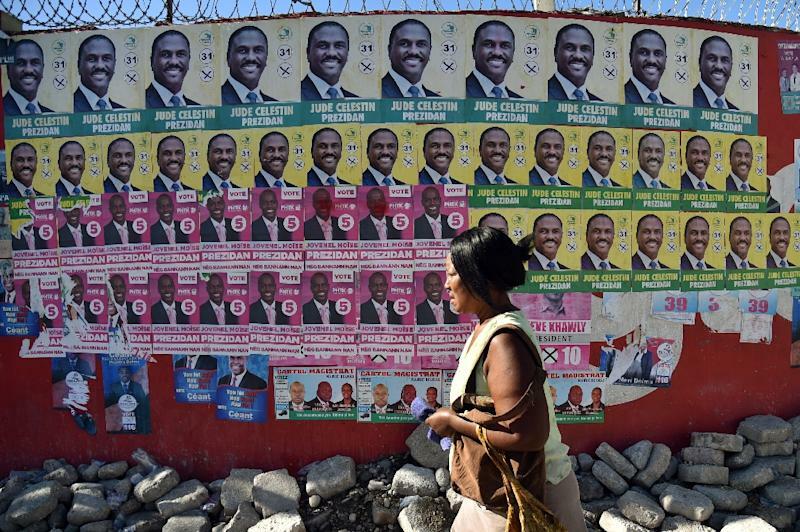 Celestin, the runner-up in Haiti's first-round vote in October, had earlier refused to campaign until an independent electoral commission was established to study voting problems. That commission issued a series of recommendations that included an end to voting in private homes and the use of indelible ink on voter's thumb to prevent multiple voting. Not all of the recommended measures have been implemented. President Michel Martelly "has not held elections in five years and now he urges us to join in this electoral masquerade, which we cannot condone," Jinaud said. Meanwhile Celestin's government-backed rival, Jovenel Moise, was out campaigning Friday in the affluent Port-au-Prince suburb of Petionville. "An election belongs to the people and we must work for their confidence," Moise told AFP. "My strategy is to go out and make contact with the population, walk with it, talk with the public. "But in my opinion, (Celestin) is also campaigning, because he has gone back and forth across the country," Moise said. In the October 25 first-round election, Moise drew 32.8 percent of the vote against 25.3 percent for Celestin, who dismissed the results as a "ridiculous farce." The contested result sparked angry and sometimes violent street protests, with several opposition candidates sharply criticizing the Provisional Electoral Council (CEP). Meanwhile, the second-round vote was delayed from December 27 to January 24. In its report the independent commission said that the first round of voting was marred by fraud and irregularities, and said that 60 percent of poll workers could not do their jobs properly. 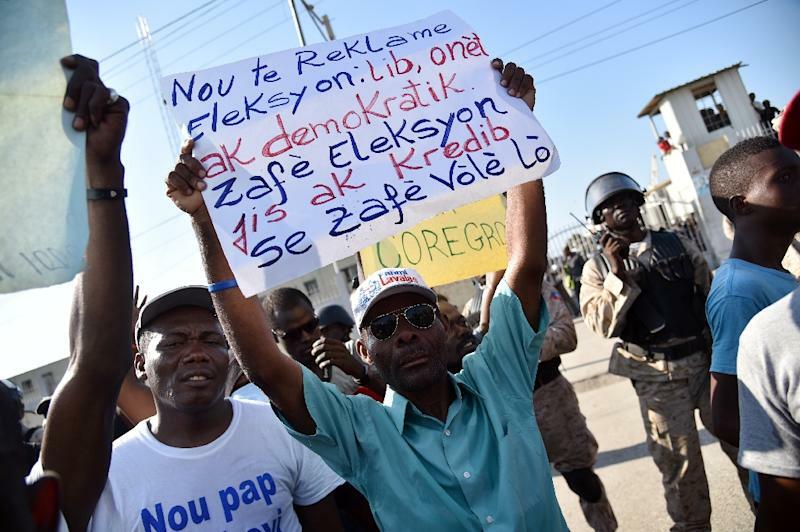 Noting that some Electoral Council members have been accused of corruption, the commission added that the CEP "is not listening to the Haitian people, for whom it works." Several hundred opposition supporters marched Friday in Port-au-Prince against what they said was "an electoral coup" and called for "civil disobedience." The march ended outside parliament, which is scheduled to reconvene on Monday. The international community, which has largely bankrolled the elections, has called for the process to continue. Washington renewed its support for the process after Thomas Shannon, a counselor to the State Department, visited Haiti on Wednesday and Thursday. "We reaffirm our commitment to working with the Provisional Electoral Council and Haiti's international partners in support of fair, credible and secure elections that reflect the will of the Haitian people," said State Department spokesman John Kirby. "The United States looks forward to working with the next democratically elected government on the numerous challenges facing Haiti," the Thursday statement read. Organization of American States vote observers said that, despite irregularities, the information it had was consistent "with the final results presented by the CEP in terms of which two candidates go to the run-off." 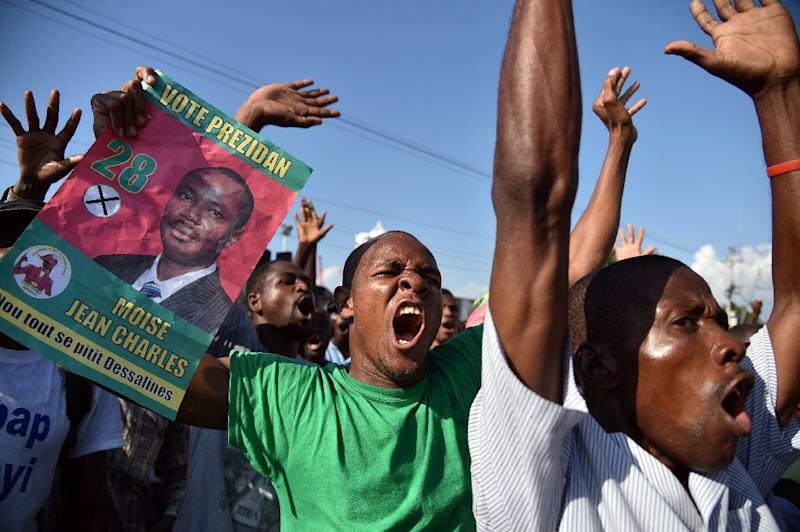 The observers urged Haitians to participate in the January vote. Only 26 percent of eligible voters cast ballots in October, and many expect a low voter turnout on January 24. Meanwhile one diplomat who declined to give his name warned of an "immense crisis" that will result with the election of "a president and a government that will have only very weak credibility, and will thus be contested in the streets."